Following Wednesday’s announcement of Sir John Goldring, the Coroner presiding over the inquest into the death of 96 Liverpool supporters at Hillsborough in April 1989, the British Safety Council added its opinion to the issue. 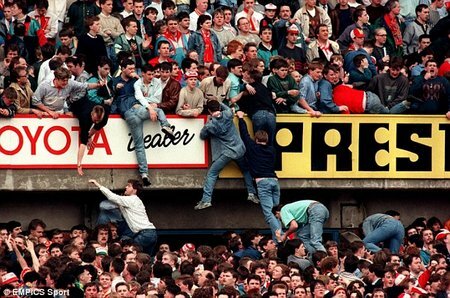 It was supported by the voice of David Parr, Head of Audit at the British Safety Council, who as a 29-year-old supporter of Liverpool FC, was standing in Sheffield Wednesday’s Leppings Lane Terrace when disaster struck on 15 April 1989. Teignmouth RNLI’s Atlantic 85 class lifeboat transfers the casualty ashore whilst Exmouth’s Shannon class lifeboat takes over the casualty yacht tow to Torquay. 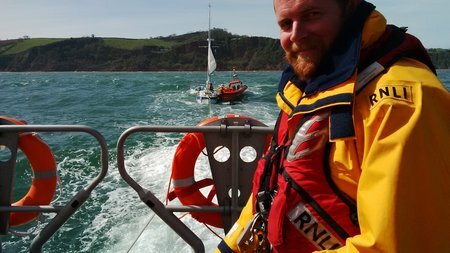 Teignmouth and Exmouth lifeboats launched on the afternoon of 20 April to assist a lone sailor on board a 28 foot yacht in difficulty off Teignmouth bar, in rough conditions. 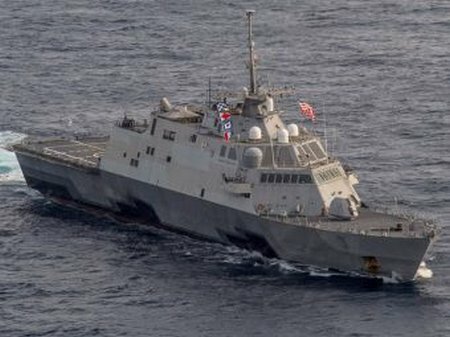 April 14, 2016—The U.S.Pacific Fleet said yesterday that the Freedom Class littoral combat ship USS Fort Worth (LCS 3) will make preparations to get underway from Singapore on its own power and transit to San Diego this summer. 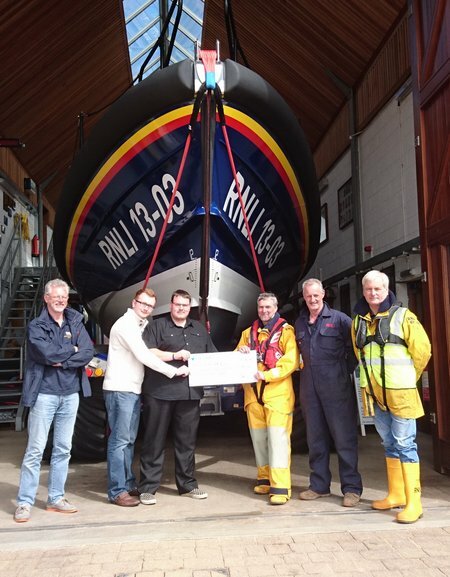 Casualties hand over a cheque to station volunteers who played a part in their rescue. L to R: Deputy Launching Authority, Neil Matson; Casualties, Richard Smith and Jared Colclough; Coxswain, Steve Hockings-Thompson; Mechanic, Mark Sansom and Tractor Driver, Neil Cannon. On 12 April, Jared Colclough and Richard Smith returned to Exmouth lifeboat station, one year after volunteers saved their lives following the sinking of their powerboat. 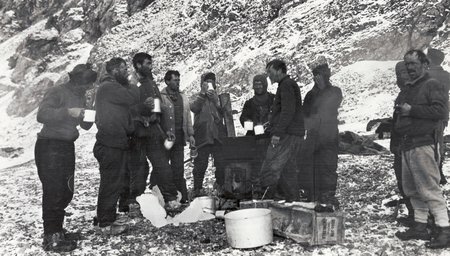 After a harrowing boat journey and 16 months at sea, exhausted men savour a hot drink on the desolate Elephant Island. Exactly 100 years ago today Sir Ernest Shackleton and his crew landed on Elephant Island in their bid to escape from the Antarctic. They were 346 miles from where the Endurance first sank and they had not felt solid ground under foot for 16 months. This is their story. Retold on Twitter. 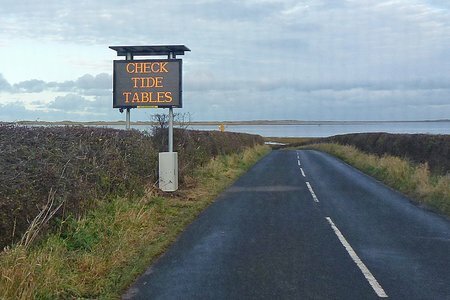 At 16.44hr on Sunday 10th April 2016, Humber Coastguard requested the launch of Seahouses Inshore Lifeboat to go to the assistance of two Swiss visitors in a car which had become surrounded by the rising tide on Holy Island Causeway. The Coastguard were experiencing some language problems while in contact with them. At 18.20hr on Friday 8th April 2016, Humber Coastguard requested the launch of Seahouses Inshore Lifeboat to investigate the report from a member of the public, of a body floating in the sea off Seahouses Harbour. At this time it was suspected that it was not a body, but some debris, but to make absolutely sure, the Inshore Lifeboat was launched to confirm our suspicions. The object was quickly located towards the Shoreston Buoy, and it was established that it was in fact a small tree with some cloth snagged on it. 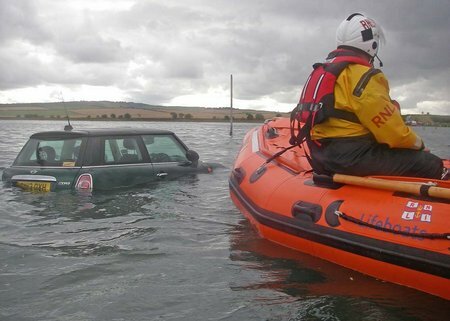 The object was brought ashore by the lifeboat, to prevent any further reports. 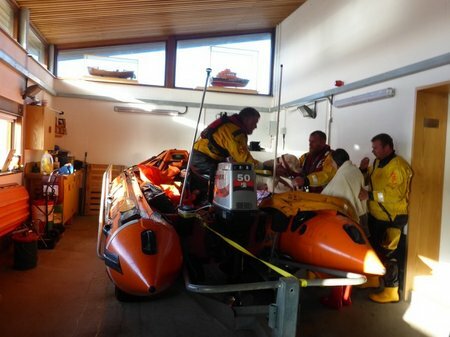 The incident was a false alarm with good intent, and the Inshore Lifeboat was soon washed down, refuelled and ready for service again by 18.50hr that night. Photo: PR060416 Dog and casualty recovered to the boathouse. 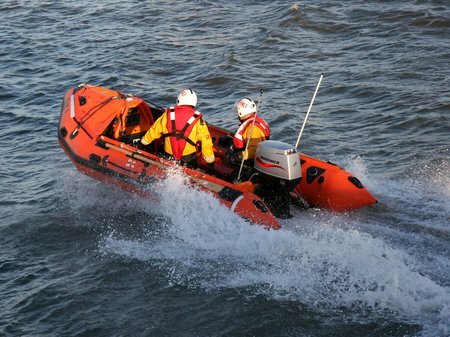 Inshore lifeboat George Bearman launched at 5.45pm on 6 April to reports of a mother and daughter walking a Boxer and a Collie, cut off by the tide between Sandy Bay and Orcombe Point. 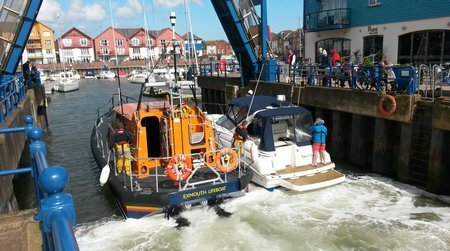 At 1.08pm on 2 April, Exmouth’s Shannon class lifeboat launched following reports of a motor boat in difficulty south of Budleigh Salterton. Whilst launching, volunteers launched D class lifeboat to search another area after an empty tender was washed up on the beach.